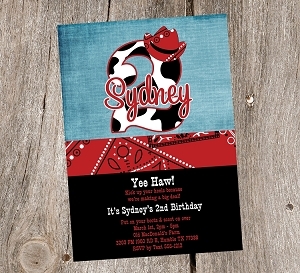 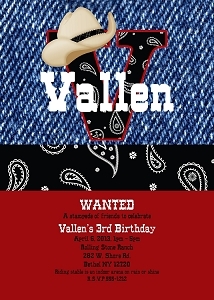 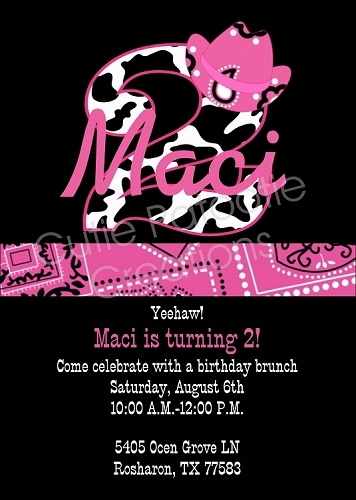 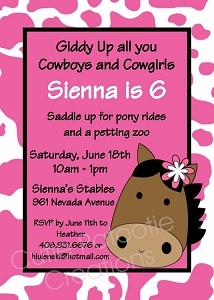 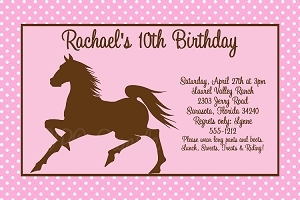 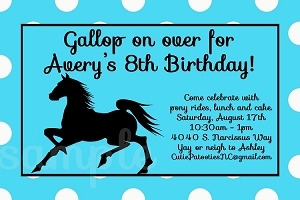 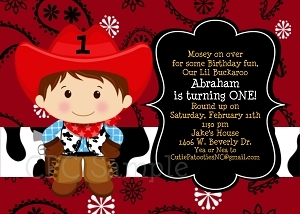 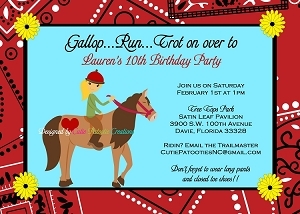 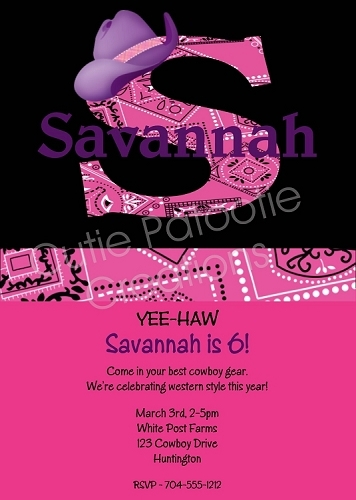 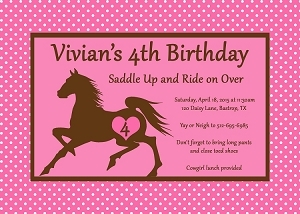 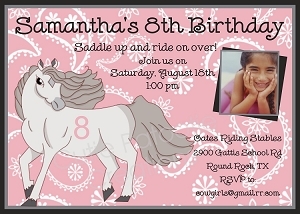 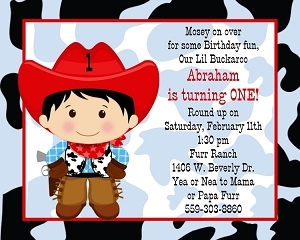 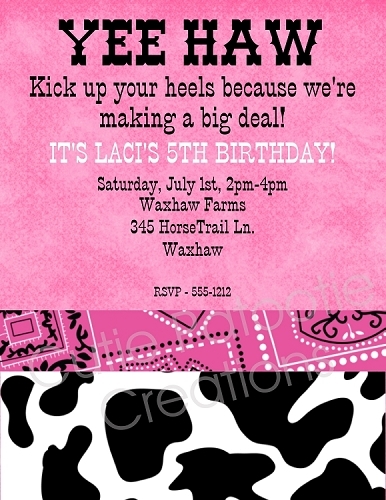 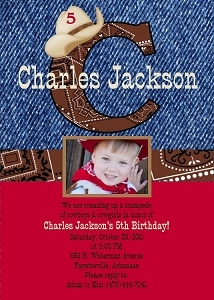 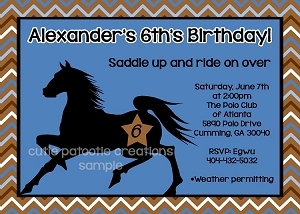 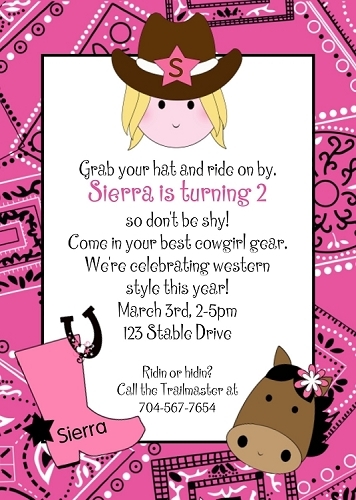 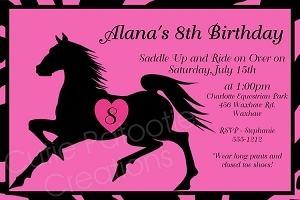 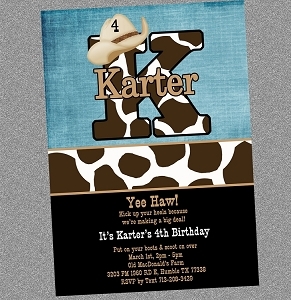 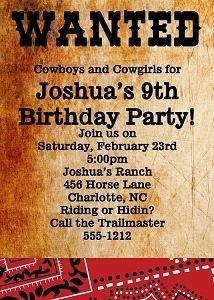 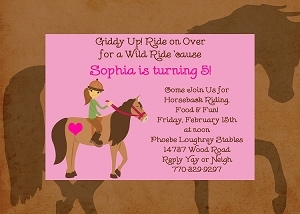 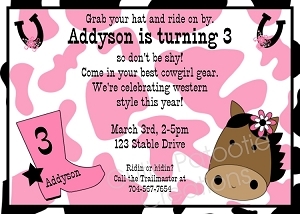 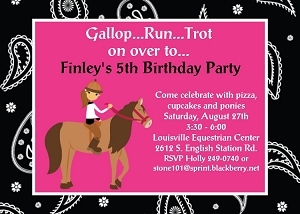 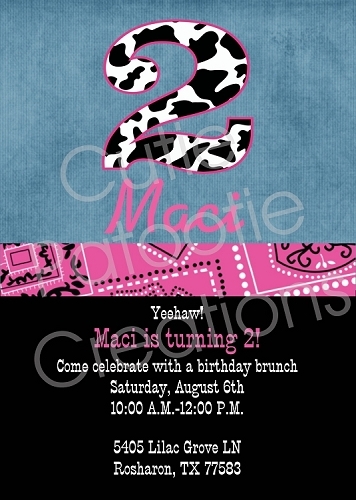 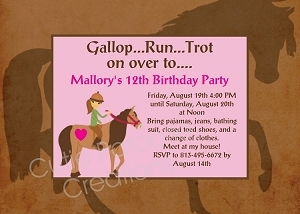 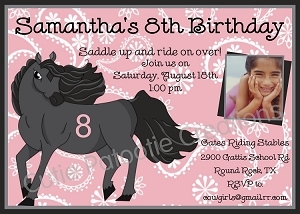 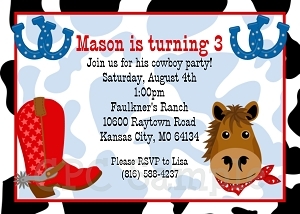 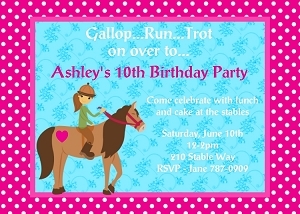 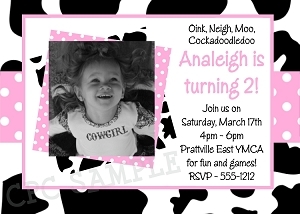 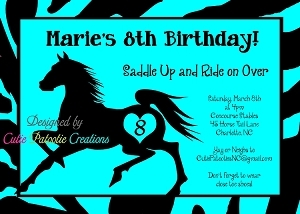 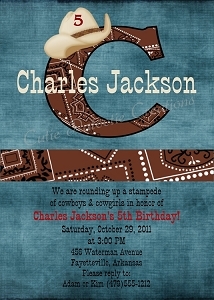 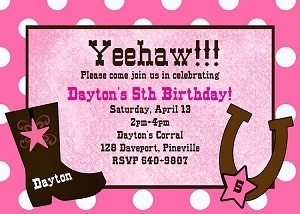 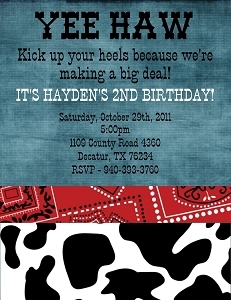 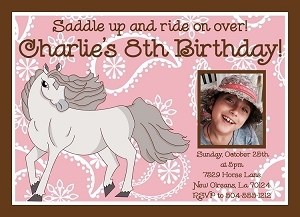 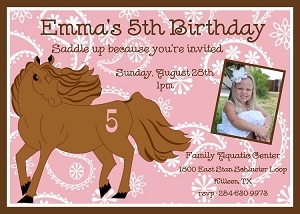 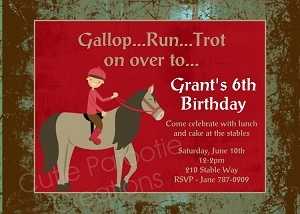 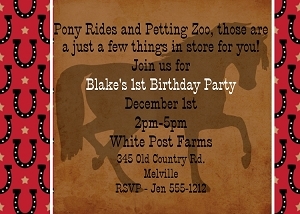 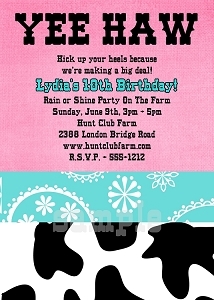 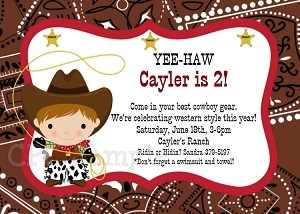 Cowgirl and Cowboy Themed Birthday Party Invitations. 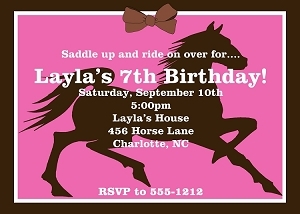 Choose from our wide variety of custom personalized invitations. 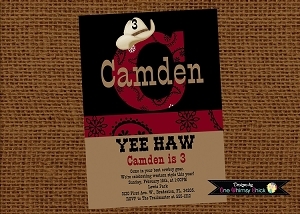 Print Your Own or Have us Print for You.